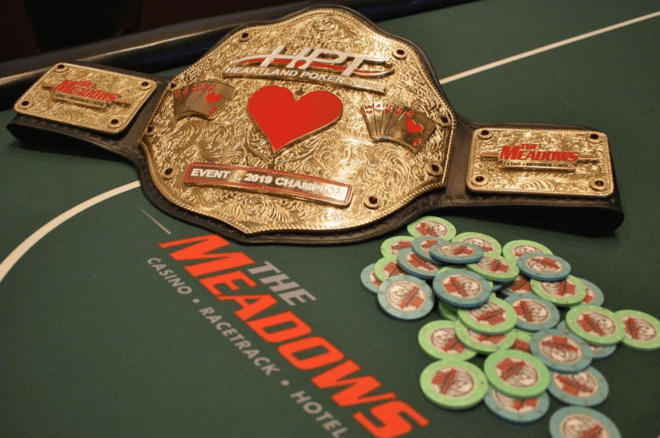 Dan Wagner managed to win the Heartland Poker Tour The Meadows $1,100 Main Event, beating a total of 345 entries. He won a total of $76,165 for the first place, but his journey in this event was not an easy one as he dropped as low as being under three big blinds five-handed before he managed to create a miracle and eventually win the tournament. The miraculous comeback was definitely something that all poker lovers enjoy, and the audience present at the tournament had an opportunity to witness it live. Wagner managed to win a total of six tournaments, but this was the first Heartland Poker Tour win for him. At the moment, he has approximately $900,000 in lifetime cashes. He told the press that he had had a great run for three hours and that he had had pretty good cards that helped him win the tournament. Apart from winning the first place prize and a hefty sum of money, Dan Wagner also managed to win a $3,500 HPT Championship Package. The final table consisted of a total of nine players, and the first player to hit the rail, winning $7981, was George Stathers. He was soon followed by Kelly Becker, who ended up in eighth place and won $9,272. Seventh place was occupied by Christopher Lee, who managed to earn $11,193, and Marcus Gaunt went out in sixth place having won $13,246. The fifth place was occupied by Andy Spears, who won a total of $16,889, and he was soon followed by Jason Pickup in fourth place. Pickup took home $22,518. At this point, Dan Wagner was able to get back to life and gradually become a chip leader, paving the way for his victory. The third place belonged to Lydia Waltonbaugh, who was a local whom many thought would win the tournament. However, she did not manage to make it to the last part of the tournament and had to settle for third place and a sum of $32,287. The two players who remained in the game were Anthony Mcle and Dan Wagner. At that point, Wagner had a total of nine big blinds but managed to double up with a queen-ten against jack-nine. However, he again managed to fall short as Mcle returned with another great play. Nevertheless, Wagner did not give up and managed to double up on chips once again with a king-six against jack-two. The chip lead returned to Mcle, and Wagner doubled once more. It happened one more time, and it was quite clear that Wanger was not giving up. In the end, it was Wagner’s patience as well as luck that he managed to double up so many times that allowed him to win. He thanked God for his victory, as well as his poker coach Carlos Welch.